The UCA cheer camp is amongst the top-rated training camps for competitive cheerleading. UCA stands for the Universal Cheerleaders Association and is one of a select few professional spirit associations highlighted by Varsity. When you're considering attending one of UCA's acclaimed cheer camps you can expect the best in training, safety, and focus. The Universal Cheerleaders Association has been in practice for over three decades. UCA trains cheerleaders at both high school and college levels. These camps are not for the young and inexperienced. UCA looks to hone the skills of serious competitive individuals who understand both the athletic precision and personality requirements of this sport. 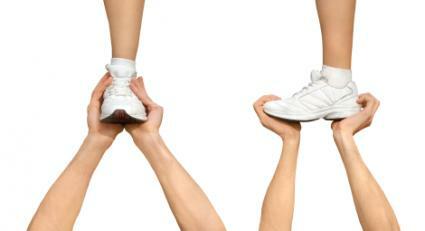 UCA has been a highly influential organization within the cheerleading world. Basic cheerleading stunts such as the liberty and basket toss have been attributed to UCA, not to mention the original concept of setting dance routines to music. Today, UCA is up-to-date on the latest stunt feats and focuses on choreographing fresh and challenging cheer routines. Any squad that is serious about its endeavor will benefit greatly from attending a UCA camp. The primary aim of UCA camps centers around the concept of leadership. Certain spirit camps may offer a heavy dance or skill-based focus, but UCA strives for the crafting of effective cheerleaders. Consequently, there is a heavy emphasis within UCA camps on creating cheerleaders who can hold the crowd's attention. This concept is what makes cheerleading different from a dance squad. The official UCA website is the place to go for information regarding the Association's camp schedules and details. These camps are usually held during the summer and certain camps are classified as resort camps. The latter option is more scenic and, therefore, more expensive, but every UCA camp will offer the same level of training and discipline. Costs may vary, but typically you'll be looking at individual fees of about 300 US dollars and payments must arrive to the national UCA headquarters several weeks in advance. Again, costs may vary depending on what type of camp you and your squad will be attending. UCA offers camps based on skill level and skill focus. These are not cheerleading camps for beginners, but rather, for skilled squads who are operating at a competition level. You or your coach will need to contact a Varsity Representative for further camp information. Squads do not just arbitrarily sign themselves up for these camps and UCA does not train cheerleaders independent of a squad. A UCA cheer camp runs professionally. Although the activities and training sessions are all geared towards improving team unity, you'll be waking up at fairly early hours and training for close to twelve hours a day. This training will include everything from learning new stunts and routines, to work out drills. These summer camps are a far distant theme from a sunny day on the beach with your cheerleading pals. Your squad will learn ten new stunts that will be taught by the highest-rated instructors. Add that to the new cheers, transitions and dances that your squad will also pick up, and you now have a season's worth of new material. Unless you have an extremely inventive set of coaches, UCA will be responsible for keeping your team up-to-date through the cheer seasons. For high school cheerleaders, these camps will provide you with the necessary training to help you approach the college circuit. The best part about UCA, though, is that safety is heavily emphasized during camp. If your squad is going to attempt a horde of new and taxing stunts, this is best done under the watchful eye of trained professionals. Cheerleading can be a harsh and demanding sport that boasts a history of casualties.